I can't believe we are at the halfway point in the 31 Day Challenge already! Top effort girls who are all still hanging in there. Tonight's prompt is Geometric, which this year has changed from Tribal. Sarah from Chalkboard Nails made the change in an effort to be more culturally sensitive, which I think is a fantastic idea. In many cultures, tribal art is a should only be painted by those from that culture, I certainly know that is the case with Aboriginal dot paintings. 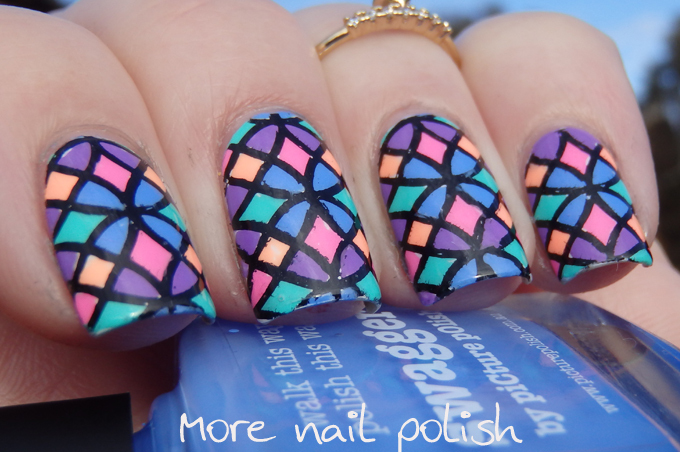 So without further adieu, here are my geometric nails. 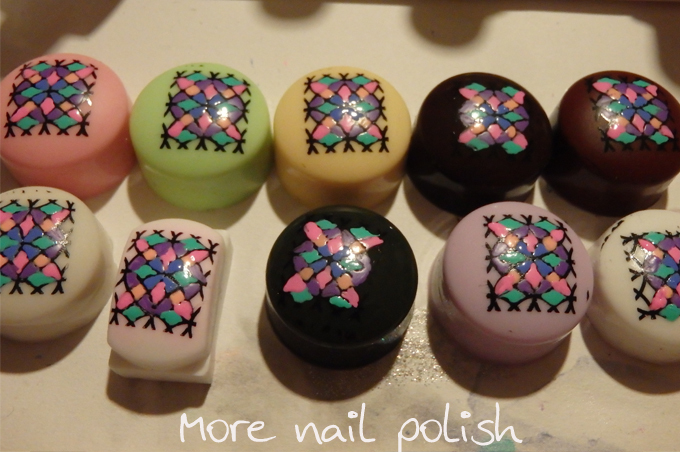 I did advanced stamping on all ten nails. 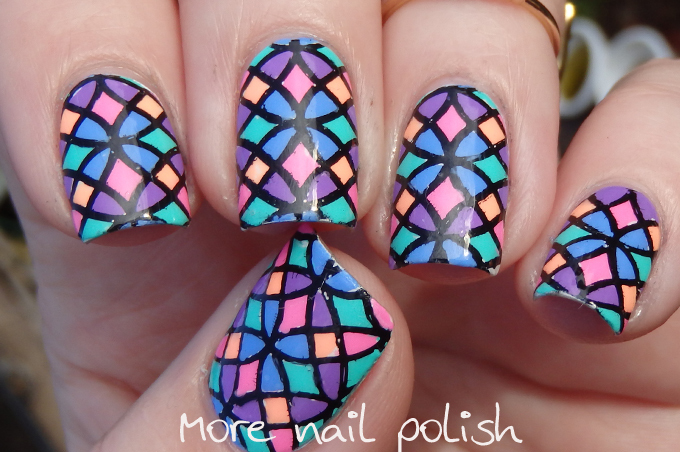 I used a fantastic geometric design from one of the new Emily de Molly plates EdM09. 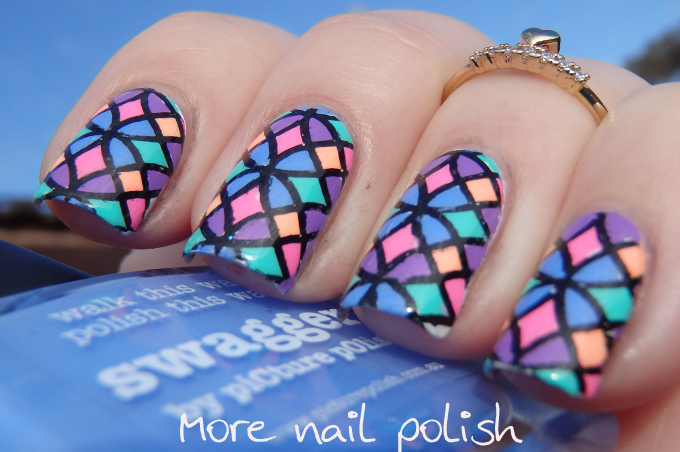 I painted the design with a range of colours, the blue is Picture Polish Swagger, and the rest of the colours are from the China Glaze Sunsational collection. Remember my full pro set of stampers heads from Messy Mansion? This is what they are perfect for. I was able to paint in each of the stamps all at the same time and it made the process so much faster. 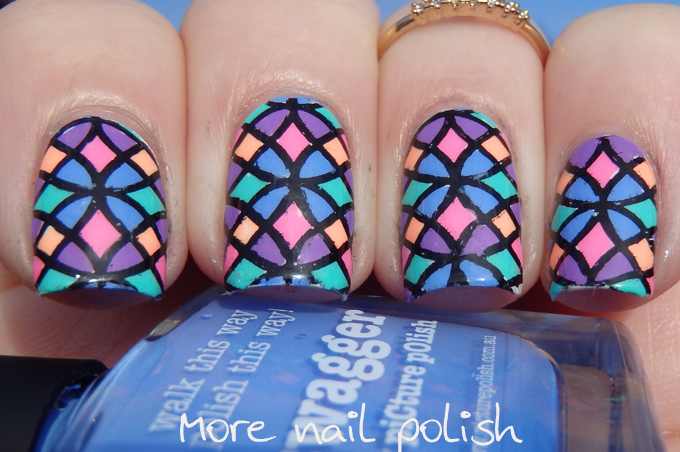 My tribal nails from 2013! She is finalist #8 and it would be awesome if you could send her a vote - especially all you Aussies out there - lets keep Angela in the top six! You don't need to sign up to anything to vote, but you can only vote once per IP address. Pretty! 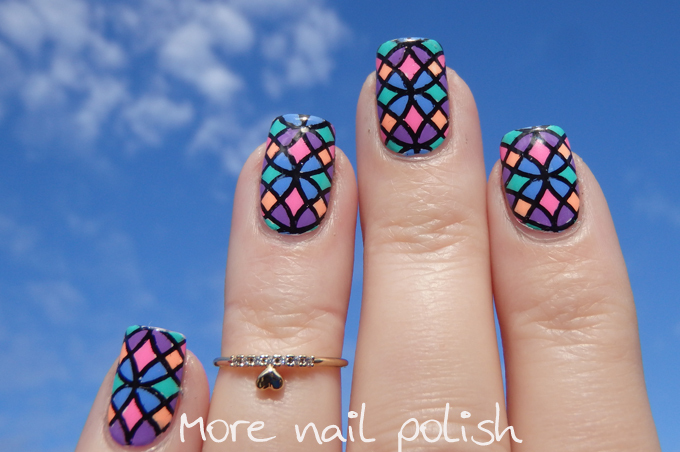 They look just like stained glass!